“When I turned 12 years old, I began suffering from severe migraine headaches for 6 agonizing months. The pain was overwhelming, and kept me from enjoying all of the things I cared about most. A prominent pediatrician and ophthalmologist examined me and put me through a battery of tests, but they all came out negative and the headaches persisted. That’s when my mother took me to her chiropractor. Following a thorough examination and examining my x-rays, the chiropractor discovered the problem was in my neck and began giving me chiropractic adjustments. After just three weeks, the headaches that had plagued me for so long were gone and I continued to receive chiropractic care from that day forward. The relief from the pain was miraculous! Wasserman Chiropractic was founded in 1985. After graduating with a B.S. degree from the University of Maryland, Dr. Wasserman attended New York Chiropractic College and graduated in 1982. The American Chiropractic Association has certified him in Sports Injuries and Physical Fitness. 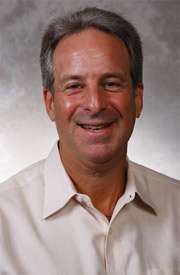 Dr. Wasserman has also received training in rehabilitation of the spine and extremities, and is certified in the Graston Technique. In addition, he has routinely addressed medical conferences, corporations and sports teams regarding the benefits of chiropractic care. A Coral Springs’ resident since 1987, Dr. Wasserman is an active member of the local community. He is president of the Business Associates of West Broward, a Coral Springs Chamber of Commerce member since 1984, and a former member of the Planning and Zoning Board for the City of Coral Springs. An avid sports enthusiast and golfer, Dr. Wasserman volunteers for the Florida State Golf Association as the course-rating captain for Broward County. “As a former college athlete, I remember how much I loved playing football and how badly I wanted to get back in the game when I was hurt. Fortunately, I was treated by a chiropractor that helped minimize my pain, heal my injuries and keep me playing at peak performance. I was extremely pleased at how well my body responded to chiropractic therapy. Dr. Stephen Krzeminski joined Wasserman Chiropractic in 2002 after relocating to South Florida. From 1995-2002, Dr. Krzeminski owned and operated the Buffalo Chiropractic Center, a successful family Chiropractic clinic. 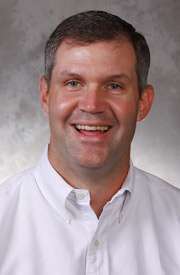 Dr. Krzeminski attended New York Chiropractic College, where he graduated in 1995. His educational background includes undergraduate studies at the State University of New York at Buffalo, where he also played college athletics. Dr. Krzeminski lives in Coral Springs. While out of the office, Dr. Krzeminski coaches various youth athletics, including football and baseball. Dr. Krzeminski is also a NSCA Certified Strength and Conditioning Specialist, and uses his knowledge and training to help athletes reach their full potential. 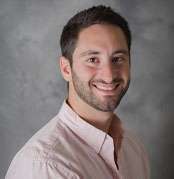 Dr. Alex Wasserman grew up in Coral Springs, FL and was exposed to chiropractic from a very young age. Seeing his father work as a chiropractor he was able to see the wonders that chiropractic care could offer patients to reduce pain, increase performance in athletes as well as mitigate the need for disabling and expensive surgery. He attended University of Delaware where he received his Bachelor’s of Science in Exercise Physiology. He was also a member of the University of Delaware Men’s Rugby Team. He then went on to attend chiropractic school at Logan University in St. Louis, Missouri where he earned his doctorate degree. During his time in chiropractic school he also became certified in techniques such as Graston technique and Active Release Technique, a soft tissue technique that can often provide immediate and effective relief in soft tissues. Dr. Wasserman has also had the opportunity to work with many different athletes of many different sports using chiropractic to help them perform at this peak potential. During his time in St. Louis, he was able to work with various track athletes in the surrounding high schools, as well as work as a chiropractic delegate for the 2011 Panamerican Games in Guadalajara, Mexico, treating Olympic athletes before, during and after their competition in the Games to help them achieve their ultimate performance. Once in private practice, Dr. Wasserman began work as an associate at a sports medicine chiropractic clinic working with athletes of all ages, from amateur to professional. These types of athletes included high school swimmers, golfers, and soccer players all the way up to NFL football players, professional tennis players, boxers and MMA fighters. Dr. Wasserman also had the unique opportunity of working within an NFL Combine training program, which served to train and treat top college-level football players to increase their performance at the NFL Combine in Indianapolis. This gave him the opportunity to meet and work with a lot of college football players who transitioned into professionals who play in the league today.